Regardless of who you support you likely have an opinion and many people choose to share those opinions in the form of election yard signs. While this is a perfectly acceptable way of expressing your First Amendment right, other entities that govern specific neighborhoods such as CCR’s or an HOA might not allow such election yard signs. All speech is protected including political speech under the first amendment right but did you know that the Supreme Court has actually addresses this specific concern? The court’s ruling that election signage does fall under the first amendment right as argued in the Case of City of Ladue vs. Gilleo 1994. Keep in mind that the above mentioned case was argued on behalf of a private homeowner and local city not a private homeowner and HOA. Would the same rules apply? Possibly if the argument was presented properly and the HOA was found to be acting as a “State Actor”. A state actor would be quasi-governmental which is defined as supported by the government but managed privately. Unfortunately the Court of Appeals for the 11th District has been challenged many times on this and has held strong that HOA’s are not state actors. So the bottom line would be that the ability to use the first amendment right as an argument in an HOA or CCR related area that doesn’t allow for such political signs would need to be found that the governing entity is acting as a state actor. Subdivision governing entities can imply limitations and policies on political signage providing they meet the necessary requirements. These restrictions must be enforced fairly amongst all residents in the governed area. Due to the fact that freedom of speech is an amendment, the governing entity may be under constant scrutiny from their residents and other challengers. Entities choosing to enforce such regulations must make sure their regulations are neutral and not because the entity simply doesn’t support a specific opinion or candidate. If entities choose to enforce for other reasons such as safety of its residents, more specifically signs that hinder or obstruct views then the HOA or CCR might have a fighting chance to win such a battle. In the season of voting a governing subdivision might decide to place political signs of their own to encourage people to vote. Signage could also be further restricted by the governing entity within a radius of the polling place. Providing your area or subdivision allows for political signage it’s probably a good idea if it’s not already required to remove the signage within 48 hours of an election. Non-compliance of such would likely result in fines from the subdivision. 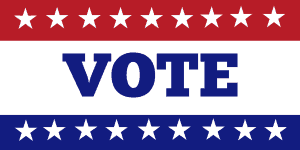 For more information on rules and regulations for specific areas on election yard signs, please contact us. We’d appreciate the opportunity to assist you!